“According to the Australian Productivity Commission farmers need to double productivity on their farms every 15 years in order to stay profitable. This is a big ask.” Toulmin posed this fact to an audience of over 800 at Melbourne’s Regent Theatre in late May as part of Melbourne Accelerator’s (MAP) launch event. So how do we create more food, for less cost, without compromising animal welfare? Toulmin and Last’s company, MimicTec, is one of 10 startups selected by MAP for 2017. 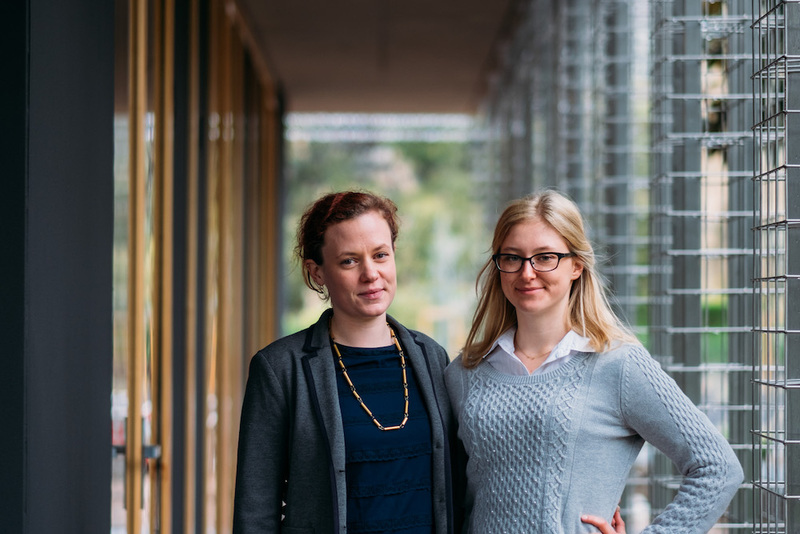 The duo, who met while studying the Master of Entrepreneurship at the University of Melbourne’s Wade Institute in 2016 are developing a product which mimics what young chicks need from a mother hen, reducing stress in the chicks and improving feed conversion or growth metrics. From an initial prototype that was chicken size, MimicTec’s ‘mother hen’ doesn’t seem to resembling a chicken at all, but the chicks don’t seem to mind. We’re saving farmers money and improving the lives of chickens. Consumers are telling the market they want chickens to be better cared for, and our product aims to give them that while reducing feed and maintenance costs for farmers. MimicTec appears to be on the fast track to market, with Last deciding on the product concept in August 2016 and having only incorporated in December 2016. While MimicTec have also recently secured over $100,000 in seed funding from Scale Investors and are working with Milawa Free Range Farm to test their product, Toulmin and Last were still keen to join MAP, wary that many new startups suffer from only working ‘in’ their business, not ‘on’ their business. 3. Real relationships: They were keen to develop skills around accessing and maintaining their potential customers within Australia and overseas. Farmers and entrepreneurs are both problem solvers by nature, so we approach our meetings with an attitude of ‘tell us about your problems, we’ve got this product, what do you think about it, how do you need it improved’, in a way, the farmers we work with are like our co-developers. 1. Start with you: “I think women entrepreneurs can often worry about female imposter syndrome” says Toulmin, an ex-Strategy Consultant, “One of the main lessons I took out of the Master of Entrepreneurship is that entrepreneurship is a skill set that you can develop. 2. You don’t have to go it alone: “I didn’t realise how valuable a co-founder would be until I had one, I really couldn’t have got to this point alone” says Last. “Of course we argue sometimes and occasionally we’ve even go to our mentor for kind of ‘couples counselling’, but mainly we get along really well. 3. Work your network: “I feel incredibly lucky with the connections we’ve made,” says Last. At the Wade Pitch night in December, they met Laura McKenzie, CEO of Scale and one of the event judges, who thought their idea was a great fit for Scales investors leading to their recent seed funding success. 4. The early bird: “On a lighter note, I’d say if you want to work in agribusiness you definitely have to be prepared to wake up early, really early and make sure you have a full tank of gas” laughs Last.